Bijou - A gem of a little salon in Skaneateles: Take a bath! Here at Bijou, we are always thinking about relaxation and pampering. When you come to see us, don’t worry we will take care of everything! BUT when you are at home…Don’t forget to pamper yourself! I know what you are saying…”But I’m busy, or I just don’t have that extra time”! 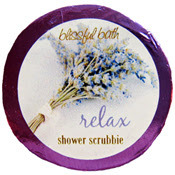 Seriously, I get it, it takes time and you have other things to do…BUT you can multi-task…take a bath, enjoy one of our luxurious bath truffles, bath bubble cupcakes, or bath bombs and read your mail, call your mother or friend, make your to do list, whatever it takes, just get in the tub and smell the essential oil smells, let them take you away to another place. 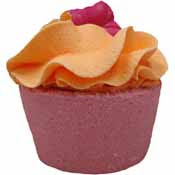 Each scent reminds me of something soothing and it can erase a day of stress in no time! Never underestimate the power of just soaking in a warm tub, with wonderful scents and soft bubbly water it will clear your mind and make you even feel like a kid again!